Home Answer Keys Exam books gate books Mechanical engineering books GATE 2019 Answer Key: Mechanical Engineering Set 1 and Set 2 Paper - on 2nd February 2019. GATE 2019 Answer Key: Mechanical Engineering Set 1 and Set 2 Paper - on 2nd February 2019. 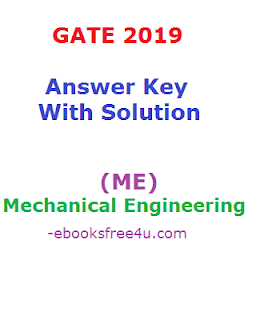 GATE 2019 Answer Key: Mechanical Engineering (ME) Set 1 and Set 2 Paper - on 2nd February 2019.